Now, in the spirit of T-day, if you're a guest, you definitely want to show up to dinner with a badass turkey-themed cake like this one from Creative Cakes by Sharon. In order to make this awesome cake, you'll need Thanksgiving themed frosting (brown, yellow, red, black, and orange), a circular 8-inch cake, and this template to help you get that turkey shape. 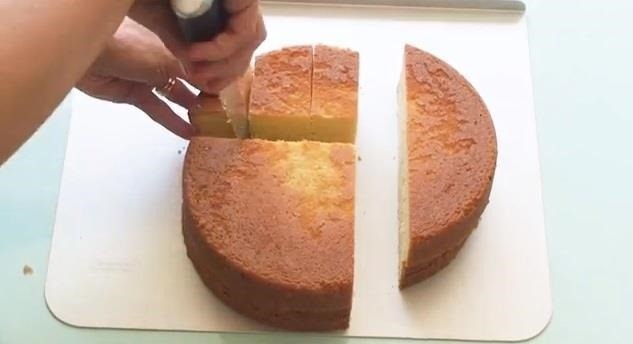 With the template printed out, you can begin cutting down your cake. 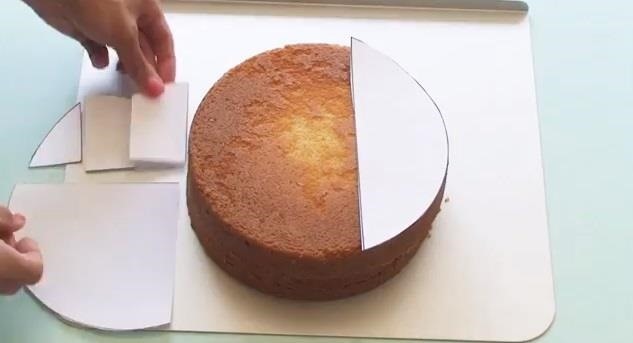 The template is pretty much a stencil that will act as your guide for cutting the cake. 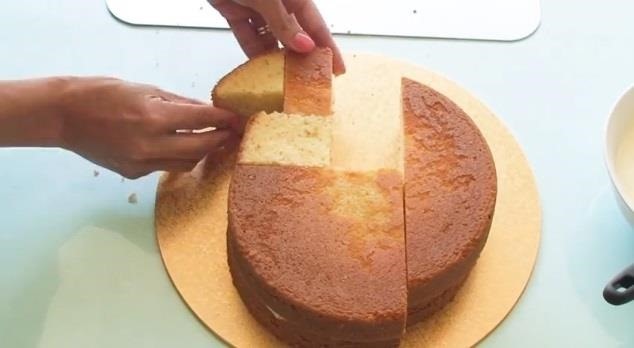 Just place each portion in its designated area and slice. 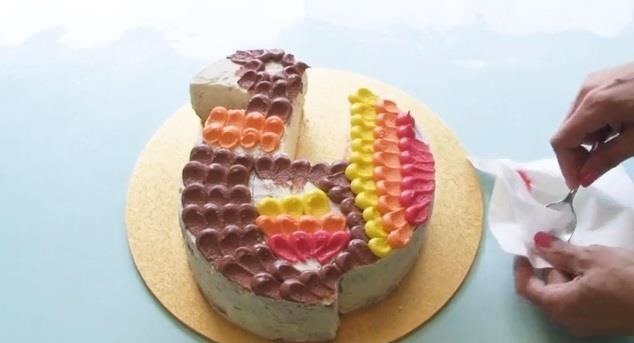 Once cut, you can create the turkey shape, coat with some cream, and then begin frosting your cake like so. You can find the different frosting tips at your local craft store or online as well.